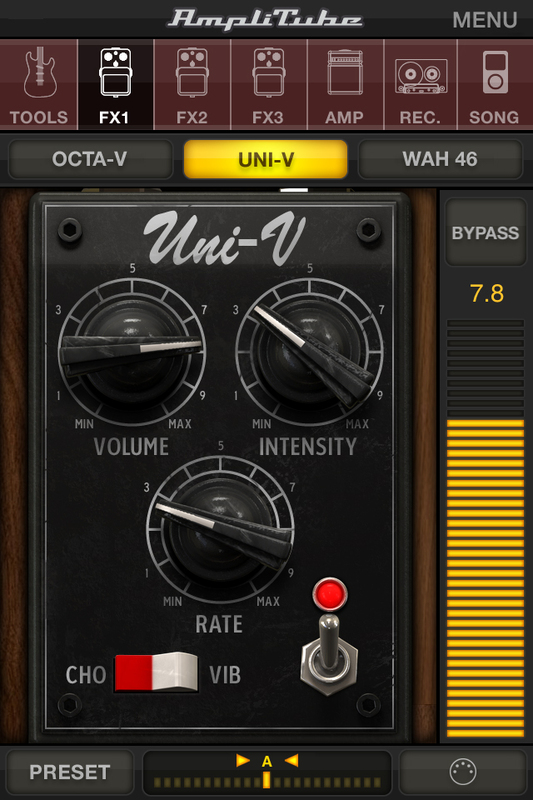 AmpliTube Jimi Hendrix for iPhone by IK Multimedia is a Mobile Audio App. 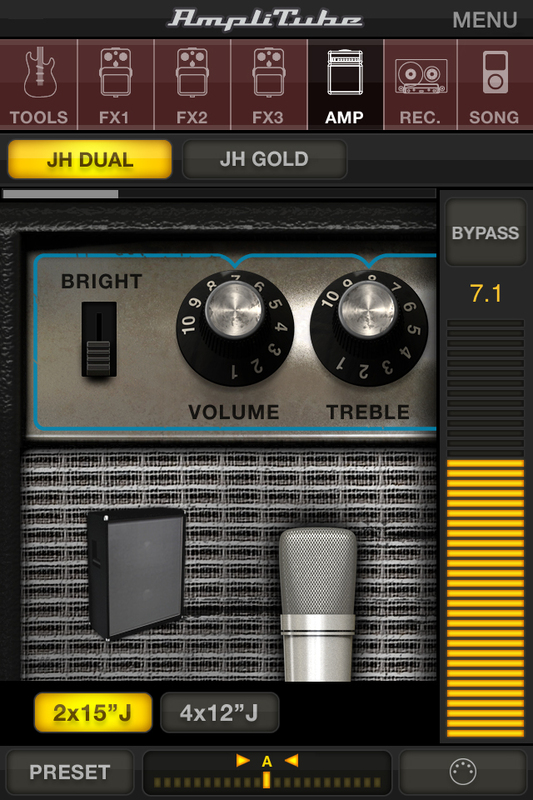 AmpliTube Jimi Hendrix is a full-featured mobile guitar effects processor and recording studio app that lets you play, practice and record with Jimi Hendrix's gear, anytime and everywhere. 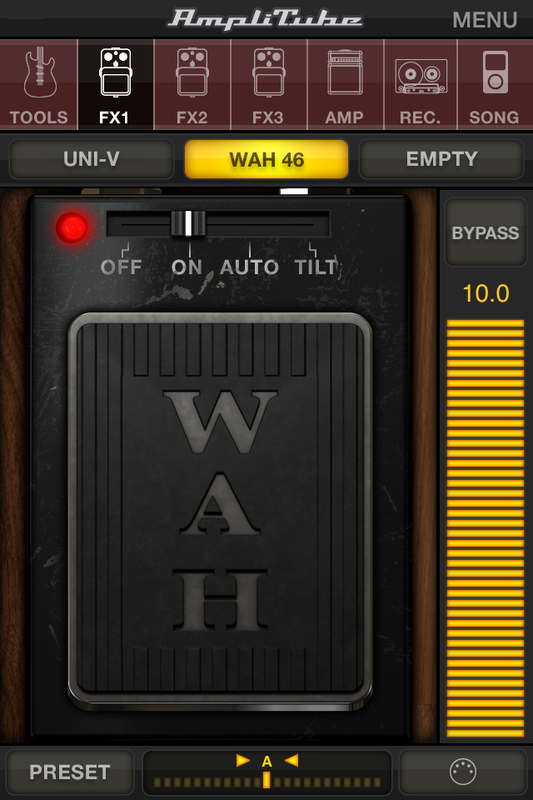 Use the iRig or iRig STOMP interface to connect your guitar to your iPhone/iPod touch/iPad, and use iRig MIDI to control AmpliTube Jimi Hendrix with your floor controller. 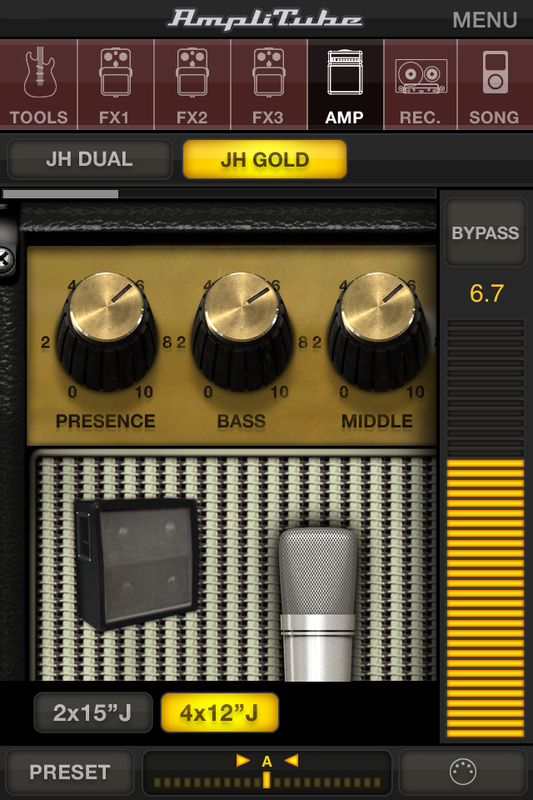 AmpliTube Jimi Hendrix lets you build a flexible guitar signal chain complete with 3 stompbox effects and an amplifier head with cabinet, plus a single-track recorder (expandable to 4 tracks) for capturing your musical ideas quickly and easily. AmpliTube Jimi Hendrix features models of all the legendary gear used by Hendrix, both in the studio and in his live performances. Now you can rock his legendary amplifiers like the JH GOLD based on the Marshall JTM45 and the JH DUAL based on the Fender Dual Showman. 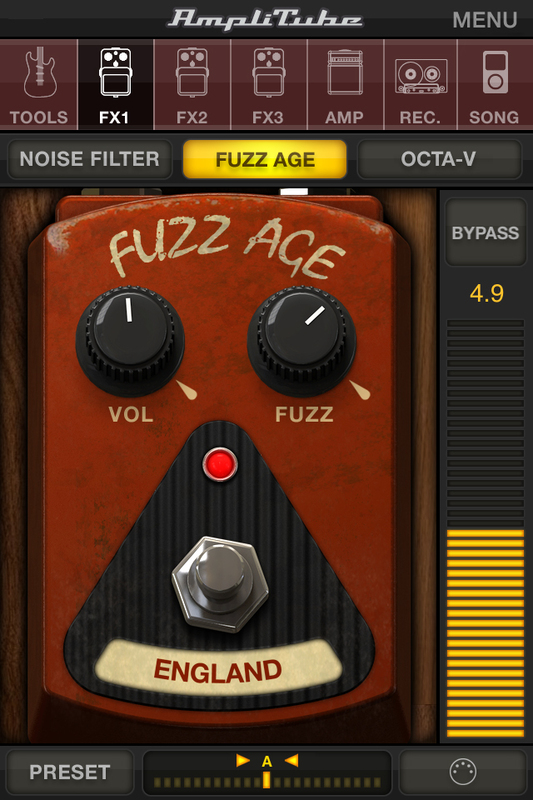 You can also rock the guitar pedals that allowed Hendrix to make his sonic breakthroughs, as he experimented with the full expressive possibilities of electronic effects while creating his pioneering guitar tones. 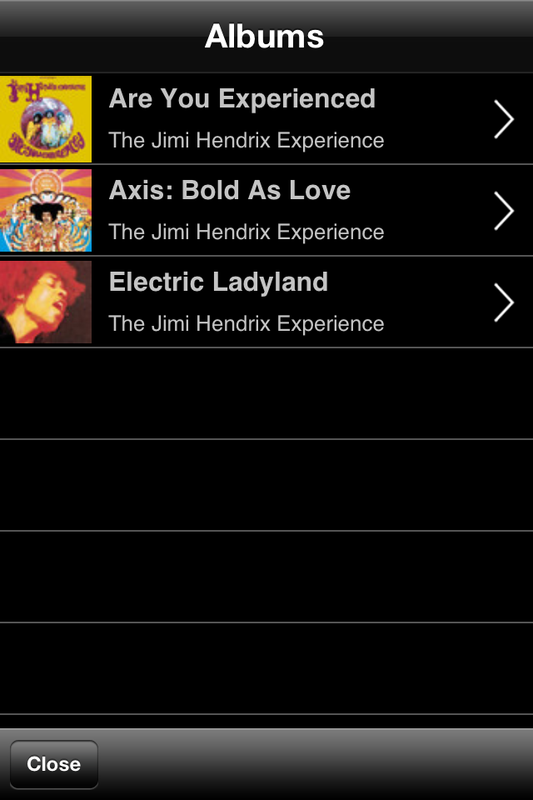 You can import/purchase and play along with Hendrix's extensive discography or any music from your music library. 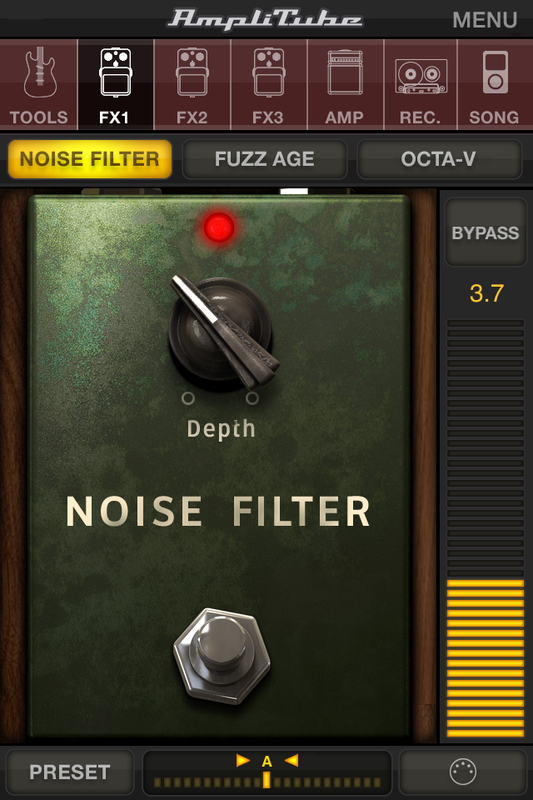 Also included is a large collection of Jimi Hendrix guitar tone preset settings, provided as starting points for your own tone tweaking or for just playing along. AmpliTube Jimi Hendrix also features a robust Song player section that allows you to play along with songs or backing tracks by importing them directly from your device's iPod library or from your computer. The song section also features links to Jimi Hendrix music available for purchase on the iTunes store that can be downloaded and added to your library and the app for play-along. 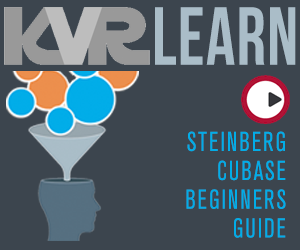 The Song section also includes our popular SpeedTrainer learning/practice feature, which can slow down or speed up the tempo of audio material without affecting pitch. 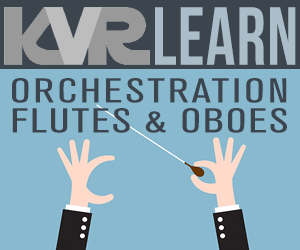 A digital chromatic tuner and metronome are also included. 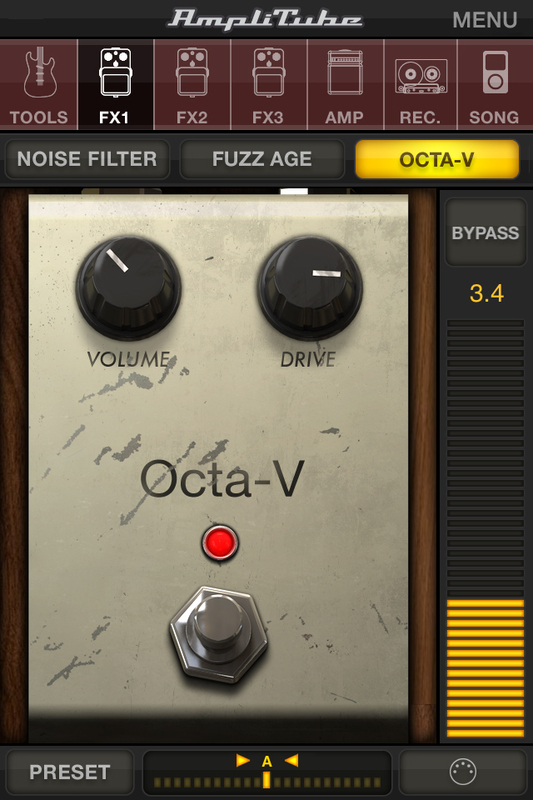 Real-time guitar mobile multiFX + recording app with Jimi Hendrix tone. Jimi Hendrix gear models: 5 Stompboxes (Noise Filter, Fuzz Age, Octa-V, Uni-V, Wah 46) 2 Amplifiers (JH Gold, JH Dual) and 2 cabinets (2x15"J, 4x12"J). Complete Jimi Hendrix Discography Presets. 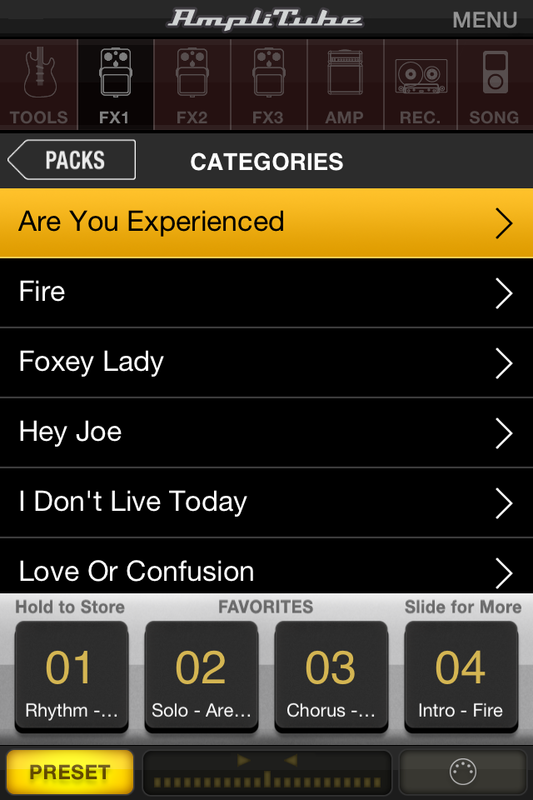 Jimi Hendrix song links directly within the app for play-along. 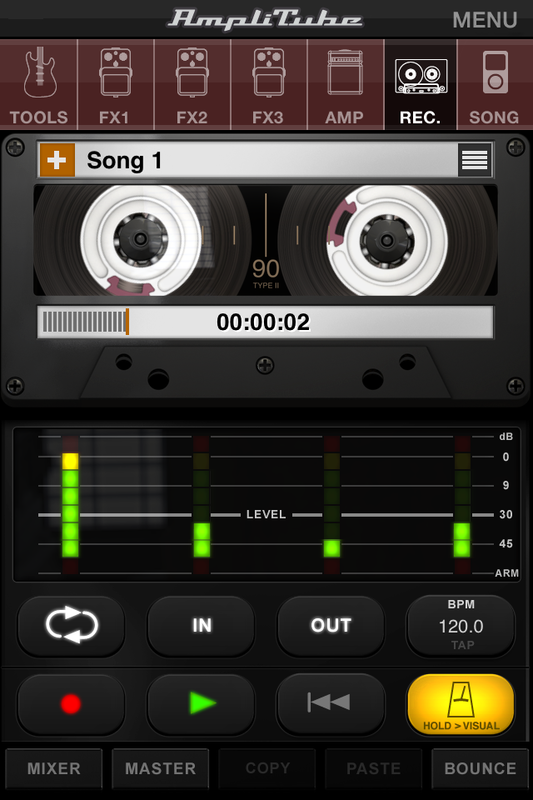 Single-track recorder expandable to 4-track studio with master effects (via in-app purchase). 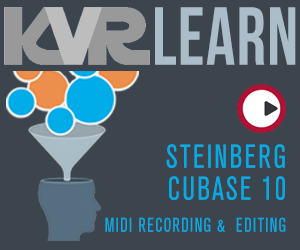 Audio Copy/Paste - Slow down/speed up the tempo of imported songs without affecting pitch.